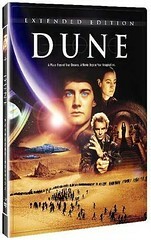 An extended version of David Lynch's 1984 version of Dune has been released on DVD. Over 40 minutes of extra footage has been added to the film, bringing the total running time up to 3 hours. Tags: dune, science fiction, reviews.